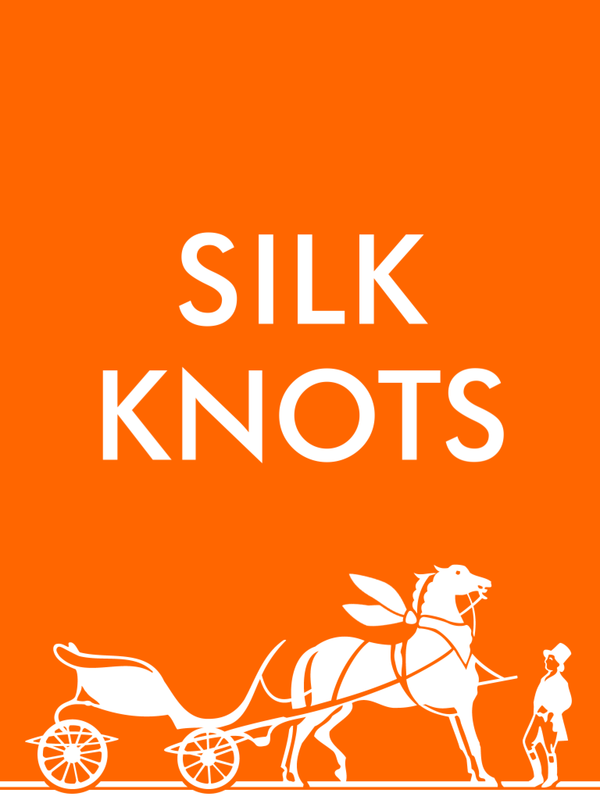 Hermès recently came out with their Silk Knots app for the iPad and iPhone. The app is just what the title suggests, it teaches you how to tie Hermès classic silk scarves in various ways. The app gives you four different ways to experience the silk scarves of Hermès. There are 6 Knotting Films that have a model doing the tying with an additional step by step feature which slows done the film slightly so you can see the exact knots, twists, and turns she makes. 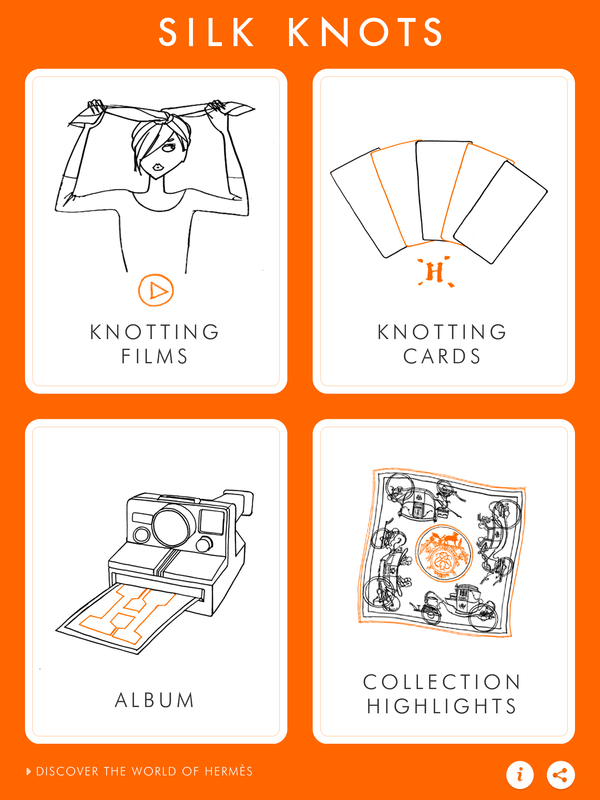 The Knotting Cards provide an additional 21 ways to tie your silk scarf with an animated cartoon showing you the steps. Again, you receive an overall look and can then see the step by step by clicking on the “How It’s Done” Feature. The Album feature provides three set of photo shoots with scarves. The pictures are stunning and amazingly colorful. There is also a video that shows the fun and different ways the scarves can be used. Whether on your head, hat or used as a sling, these scarves are very versatile. There is also a hidden feature where you can unlock Lucky Cards. There are four cards in total and they show a unique feature, collection, or another video of some sort (there’s also a rumored Olivia Bee card!). The cards come randomly and are collected in your Album’s page.